The Polish rail network has been steadily improving over the last decade with sparkling new stations in most of the country's major cities, new rolling stock being added, and new high-speed lines now being unveiled, which make travel between PL's major cities faster than it ever has been in the past. The high-speed Pendolino route between Kraków and Gdańsk (via Warsaw), christened in 2014, has cut travel times between the north and south from up to 12 hours down to only 5.5 hours. 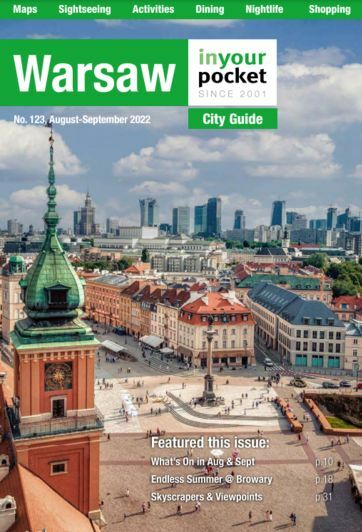 Though the costs of these voyages has increased, by western standards Polish rail travel is still very affordable, with a first-class ticket from Warsaw to Kraków setting you back between 80-240zł (about €35), depending on the time of day you travel. You must buy tickets prior to boarding all services, either online at pkp.pl (you'll receive a PDF ticket, which shows your name - you will be required to show ID to the conductor), or buy directly in the ticket office (kasa) in stations. When booking a train the most important thing to check is how long it takes to get to the destination; travel times between destinations can vary widely depending on the type of train making the journey. Generally the longer a train takes, the older the rolling stock, the less amenities it will have and the less comfortable you'll be. The shorter the journey, the nicer the train (and higher the ticket price). The state-owned Polish rail network PKP run so many different classifications of train that it makes the head spin, but here's a quick run-down if you really want to try and unpack it all. Express InterCity Premium (EIP) are the fastest and most comfortable trains which PKP offer, 1st and 2 class both include electrical sockets at each seat, limited wi-fi, adjustable seats and a restaurant carriage serving food and refreshments; Polish Railways' fast and fancy Pendolino routes - Kraków to Kołobrzeg (via Warsaw, Gdańsk and Słupsk), and Warsaw to Jelenia Góra (via Częstochowa, Opole, Wrocław and Wałbrzych) - are classified as EIP trains. Express InterCity (EIC) trains also offer comfortable 1st and 2nd class compartments, both of which include electrical sockets and even limited wi-fi service. InterCity (IC) trains are modern, comfortable and relatively cheap and will get you to wherever you need to go, safely. EuroCity/EuroNight (EC/EN) are the perfect choice for rail trips around Europe. EuroCity trains are quick connections to major European cities, and EuroNight are fast international night trains. Basically all of the above are perfectly decent options for a timely, comfortable train journey around PL. The outlier is Twoje Linie Kolejowe (TLK), which are much cheaper and older trains characterised by mostly 2nd class seating compartments (comfier 1st class is available). These trains are best suited for travellers with little money and no particular place to go, who are more interested in the experience than in actually getting somewhere. You may find yourself on a TLK route if you're travelling to a small town the better trains don't offer service to. Our advice for making it as comfortable as possible is to not show up mere minutes before departure, as these routes are often overcrowded and you may be forced to sit or stand in the aisle. For more information on train times and prices check the official website of Polish Railways - www.rozklad.pkp.pl, or try the very useful route planning site e-podroznik.pl. On the former you can book a ticket without the hassle of queuing at the station. In terms of train etiquette, travellers are expected to greet others in their compartment with a curt ‘dzień dobry,’ and it is taken as a given that male passengers will help females and the elderly stow their baggage above the seats. In terms of safety, those travelling by train can relax. Dodgy late-night border inspections and stoppages, with random people rifling through the carriages, are now a thing of the past. Today the worst case scenarios usually involve sharing a compartment with rowdy army discharges, or drunk and antagonistic football fans on their way to or from a match. Upgrading to first class for a cursory fee is usually enough to avoid these pitfalls, however.